SWSG provided structural engineering services for this new three-story 235,000 SF commercial structure. The exterior walls were framed with cold-formed steel and sheathed with metal panels. SWSG services included structural calculations and coordination of plan layouts, sections, connections, headers, sills, and jamb studs for the cold-formed steel. 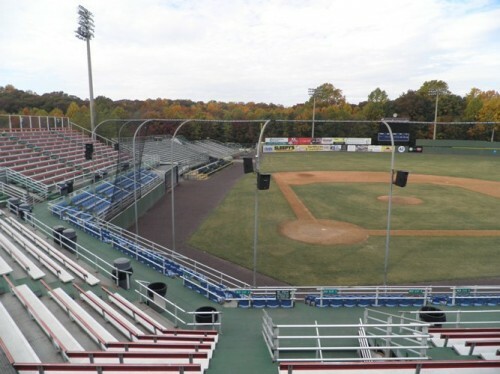 Prince William County desired to demolish the interior of the office space located above the baseball field concession area, including components of the structure that suffered fire damage. New offices, cubicle space, a conference room, toilet room, and a refreshment counter were proposed in the interior of the existing space and a new emergency exit stair was needed to provide a second means of egress. SWSG provided architectural and engineering services to prepare construction documents for the demolition of the existing space and construction of the new office space with a second means of egress.